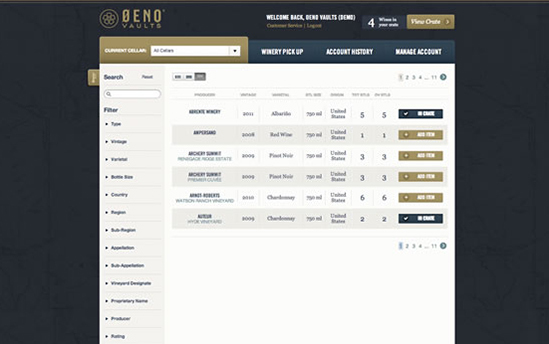 Oeno Vaults offers pick ups from wineries in Napa Valley and Sonoma County, climate controlled cellaring, online inventory management, and on-demand shipping to locations across the country. assign drinking windows so you can enjoy the right bottle at the perfect time. The simple interface provides an overview of your entire collection of cellared wine. 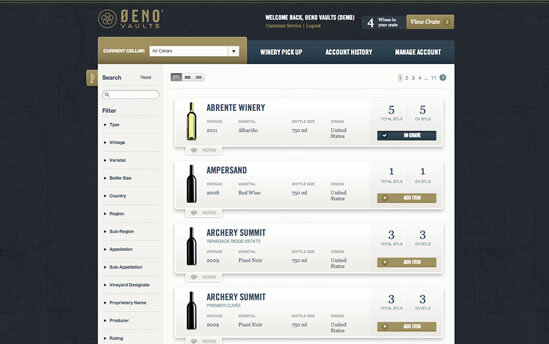 You can search for specific bottles or sort by vintage, varietal, region and more. Every detail about each bottle is recorded and available for view within the portal, including: region, appellation, producer, vineyard designate and more. 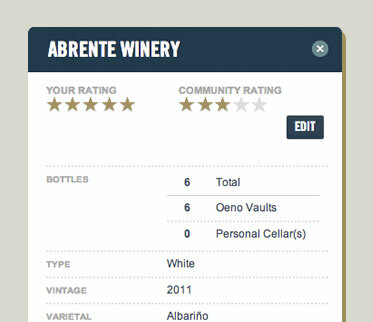 Oeno Vaults allows you to assign ratings to each bottle and, if you choose, share these ratings with others in the Oeno Vaults community. You can also add personal notes and comments to any bottle. Once you've found that perfect bottle or bottles, simply add them to your crate so they can be processed for shipment. All at the click of a button. 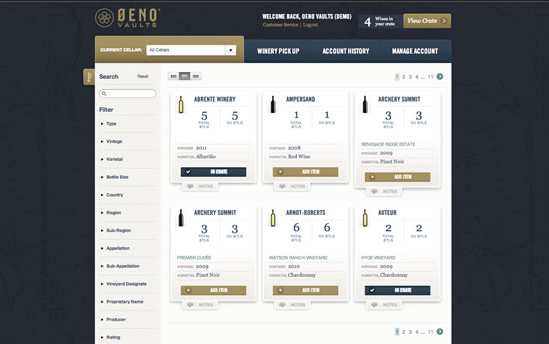 Click below to try our web-based tool, so you can see how easy it is to interact with your wine collection with Oeno Vaults. "Passionate about wine, uncompromising about storing it."